According to the latest M-Trends report, 53 percent of network compromises are identified by an external organization rather than the internal IT department. This is especially apparent in the hospitality industry where massive amounts of customer data and credit card information are stored. Now more than ever, it’s critical to understand the security posture of your network and implement comprehensive security solutions that help you rapidly detect, analyze and contain potential threats. Join us and learn how a Fortune 500 company Gaming/Hospitality company gained instant visibility of previously unknown devices and deployed policy-based access controls in days. 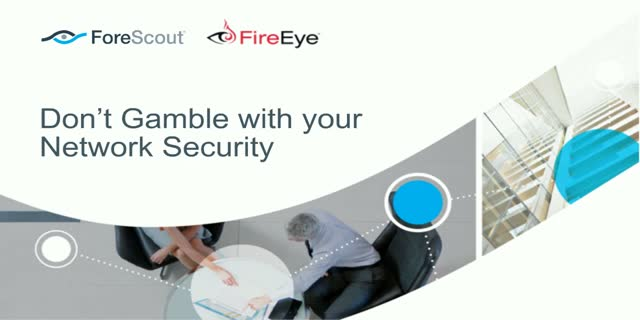 Our special guest customer will comment on the state of threats to hospitality companies and discuss how FireEye Network Threat Prevention Platform (NX Series) and ForeScout CounterACT® work together to provide a holistic approach to risk mitigation and threat management. Gain visibility into what and who is on your network—especially un-managed devices. Improve your defenses against advanced threats and create a policy based automated response to potential threats. Register today [link] to learn how!